Light rain and maybe an embedded rumble of thunder or two will continue to move northeast this afternoon with the possibility of stronger storms just south of the WTVO forecast area. We are still highlighted in the 'general storm' risk from the Storm Prediction Center with the slight risk to our south into central and southern Illinois down through the Gulf states. Funnel clouds have actually been reported with a few storms west of Flanagan, IL (near Pontiac, IL) moving quickly to the northeast around 45 mph. These storms are forming right along a stationary boundary helping to provide the instability needed to get these storms moving. Most of this activity should remain south and east of the region, but we'll continue to monitor as we head into this afternoon. A cold front sits just west of Freeport this morning with temperatures in the 40s ahead of it and down into the 20s behind. While we've got fog and a little drizzle across much of north-central Illinois...freezing drizzle has been falling for the better part of the morning across central Iowa and has caused some very slippery conditions for residents around Des Moines. Just now getting reports that I-235 in west Des Moines near 63rd street is closed due to a 7 car accident on the westbound lanes. Winter Weather Advisories continue and have actually been extended into northeast Iowa. So if your New Year's Eve travel plans take you out west, drive carefully. There are a few smaller scale lows that stretch along the cold front and as each low moves northeast it will cause the front to wobble back and forth and we'll likely continue to see this sharp contrast in temperatures throughout the remainder of the day. I really don't expect temperatures to rise too much from where we are now due to the dense fog. As we head into this evening a stronger low will move well west of the forecast area bringing the cold front through later tonight. As this front moves through we might see a mix of precip or maybe even a little freezing drizzle before dry air wraps in by Saturday morning. Strong thunderstorms moved through eastern Oklahoma and western Arkansas early this morning producing a rain-wrapped tornado around Cincinnati, Arkansas. The Director of Emergency Management in Washington County has confirmed that there have been at least three deaths with extensive damage around the region. The Fayetteville Airport has also closed due to debris from the tornado on the runways. We're also getting reports of extensive damage just a few miles west of there in Westville, OK where heavy damage has been reported. No word yet on any fatalities or injuries. (12/31/2010 6:55:31 AM) nwsbot: TSA: Cincinnati [Washington Co, AR] co-op observer reports TORNADO at 06:09 AM CST -- additional preliminary reports from cincinnati. extensive damage reported in the area. brick home destroyed. vehicles damaged. volunteer fire dept facility damaged. A Dense Fog Advisory continues for Rock and Green counties in southern Wisconsin and Jo Daviess, Stephenson, Carroll, Winnebago, Boone, Ogle, Lee and DeKalb counties in northern Illinois. Visibility early this morning was down to zero in some spots so make sure you take it easy on the roadways. Along with the fog, rain will also be making an appearance across the region. The showers and even a few embedded thunderstorms will continue to move northeast with the heaviest of the rain likely staying just east of the Rockford area. These showers are all forming along the nose of the low level jet that continues to pump moisture into the Great Lakes. A stronger cold front will sweep through later this evening with a few more showers possibly forming along and east of the front. Once that front moves through much colder air moves in as temperatures fall below freezing and possibly create some slick spots on roads. That colder and windy weather will last through Saturday with highs only reaching the low 20s with a few flurries. 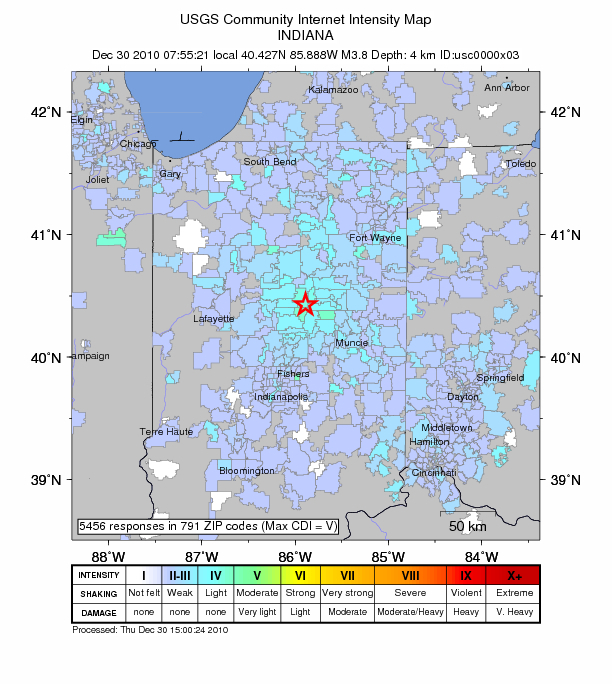 A preliminary 4.2 magnitude earthquake occured around 7:55am EST about 5.5 miles southeast of Greentown in southeast Howard County, Indiana this morning. It could be felt from Ohio out to the suburbs of Chicago, and maybe even a little further west. 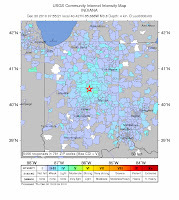 I received a phone call from a lady this morning who said she was sure she felt an earthquake sometime between 6:30am and 7am - which would put it roughly about the time that it happened out in Indy. While I didn't feel it at the station maybe you did at home. Let us know if you did! Foggy, damp and one big slushy - that's what is in store for us today and Friday. Two storm systems will help continue to bring very mild and moist air up through the Great Lakes. One low pressure system will move northwest through Iowa today keeping the rain/drizzle and fog going throughout the remainder of the day. The second low, a little stronger than the first, will have a little more upper level support from the jetstream as it takes almost the same track as the first. With the snow melting to the south and a little across the immediate region the fog will continue until the second front passes late Friday night. Once that front passes, however, any rain or snowmelt that will be left on the roads, parking lots or sidewalks could very well freeze as colder air filters in behind. You'll more than likely feel a difference if you head out early Friday evening and by the time you wake up Saturday morning. Just make sure you take it easy when traveling on Friday as it may become a little slick. If your travel plans maybe take you up north or to the northwest snow is what you'll likely run into as Winter Storm Warnings and Winter Weather Advisories have been issued for central Minnesota and through the Dakotas. The fog isn't going anywhere anytime soon! You might as well get used to the fog because it's going to stick around for the next couple of days. The fog that we are experiencing today is known as advection fog and is a little different than the raditional fog we're used to seeing. 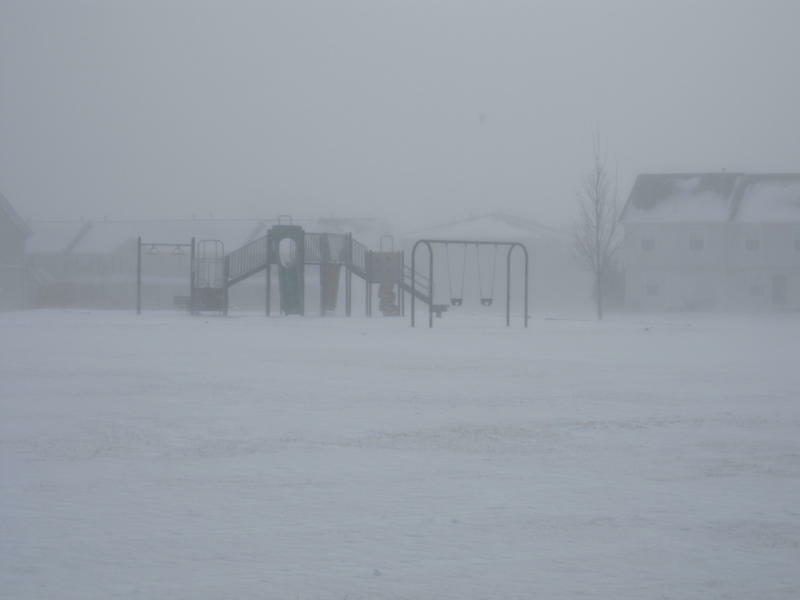 Advection fog forms when a relatively warm and moist air mass moves over a cooler ground surface, like the snow covered ground we have now. The word advection means to transport, or move, horizontally. It's different from raditional fog because it can form when it is cloudy or when there is wind. With a southerly wind expected through today and Friday the fog will likely stick around until our wind direction changes to the north and brings in drier and cooler air. 7:00am Update: A Dense Fog Advisory has been issued for all of the WTVO forecast area until Friday evening. Dense fog has developed as warmer temperatures and moisture continue to advect northward across the Stateline. While visibility may improve some, expect the fog to last until a strong cold front moves through Friday night. Until then take it easy and give yourself plenty of time the next two days. Warm moist air is streaming northward out of the Gulf of Mexico. As it rides over the cold snow cover of northern Illinois and southern Wisconsin, dense fog will form overnight, and persist through Friday. A DENSE FOG ADVISORY has been issued for Stephenson, Jo Daviess, Carroll, and Whitside Counties until 6 pm on Friday. I anticipate that advisory will be expanded to cover all on northern Illinois overnight. Be advised to slow down. Don't over-ride your headlights, and use low beams. 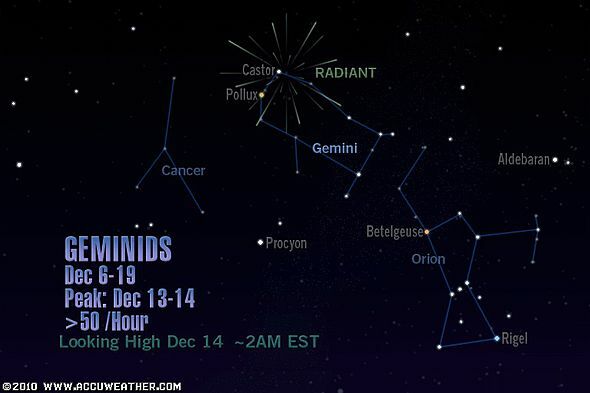 After midnight tonight there will be drizzle too. Expect more drizzle on Thursday. On Thursday night showers will develop, and continue through Friday evening. There maybe even be some rumbles of thunder on Friday as a strong cold front sweeps in from the west, and clashes with the very warm and moist air over northern Illinois. With temperatures above freezing for close to 48 hours, melting snow, and the rainfall expected, there will be lots of water flowing into area steams that may be running close to bankfull by Friday night into the weekend. The temperatures may reach 50 degrees on Friday in advance of the front. When the front pushes across the area on Friday evening there will be a quick cut off in the precipitation, and a sharp drop in temperature after midnight. New Year's Day will be partly sunny, breezy and much colder with a high only in the low 20's. 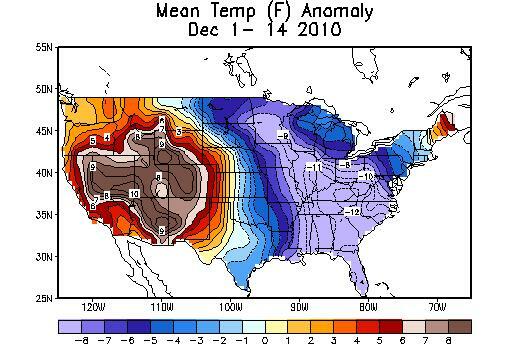 It's no secret that December has been a month of extremes. After coming off of a 9 month stretch of above average temperatures, it looks like overall December may fall short. There is a little light, though, at the end of the year. After hitting our average high Tuesday afternoon of 28°, temperatures will warm into the 30s and even 40s by Friday. Unfortunately fog and rain showers will turn our snow into a slushy mess by Friday before freezing temperatures return by Friday night. 5:35am Update: The Dense Fog Advisory has been cancelled for Stephenson, Jo Daviess, Carroll and Whiteside Counties. Still watch for reduced visibility as the fog will continue through the morning. A Dense Fog Advisory has been issued for Stephenson, Jo Daviess, Carroll and Whiteside Counties unitl 10 am this morning. A Freezing Fog Advisory has been issued for Ogle, Lee and DeKalb Counties until 9 am this morning. Freezing Fog Again Tonight... Nice Warm Up Coming on Friday! Cold high pressure is shifting off to the southeast., and weakening. A light southerly air flow has already developed. The dew points have already risen into the upper teens, and with the temperature expected to drop into the teens. Freezing fog will develop again overnight. Clouds will increase overnight too as increasing amounts of moisture move northward out of the Gulf of Mexico into the Midwest. There may be some lingering freezing fog in the early morning on Wednesday. It will be warmer under cloudy skies on Wednesday with a high in the middle 30's. Temperatures may drop a couple of degrees on Wednesday night, and then hold steady for awhile, before rising after midnight. So, the drizzle or light rain that begins early on Wednesday night will be the freezing variety. On Thursday there will be lots of fog along with drizzle, and maybe some light rain. Fog maybe thick on Thursday night with temperatures holding in the upper 30's. On Friday rain showers will be likely, and there might even be some thunderstorms. There will be lots of melting snow on Friday, and ponding of water on streets around the Stateline. Enough rain may fall to cause rises on area streams later Friday into Friday night. The preciptation will change from rain Friday evening to freezing rain, and then to snow as temperatures plunge by midnight. It looks like it could be a flash freeze situation freezing changing the wet streets into sheets of ice. Be very careful if you are out and about on New Years Eve. Saturday will be breezy, and much colder with some snow flurries with a high only in the low 20's. The sun comes back to us on Sunday with a high in the middle 20's. The Will be Some Freezing Fog Overnight... The Question is.. How Dense? A cold ridge of Canadian high pressure will be sitting right over the Stateline tonight. Dew points are in the middle single digits early and skies are clear at sunset. That will allow the temperatures to fall fairly quickly this evening and reach, or nearly reach those dew points by mid evening. Freezing fog will develop across northern Illinois and southern Wisconsin with the possibility that it would be locally dense in most favored rural areas in low spots and next to streams. The fog will last into the early morning hours past sunrise, and then slowly evaporate. On Tuesday skies will be partly cloudy and the high temperature will be in the middle 20's. Freezing fog will again be a possiblilty overnight on Tuesday night. On Wednesday it will be partly cloudy, but clouds will increase by late afternoon as a moist southerly flow increases across the midwest. There may be some freezing rain overnight on Wednesday night along with more fog. Thursday will be a cloudy foggy gloomy day with light rain and drizzle. On Friday there will be a surge of warmer air and moisture ahead of a cold front sweeping in from the plains. It will still be foggy with more rain showers. There could even be some isolated thunderstorms in the afternoon and evening. New Years Eve will not be the nicest we have ever seen. Rain in the evening will change to light snow overnight. New Years Day will be windy and colder with the possibilty of some snow flurries. While much of December has seen below average temperatures, it looks like for the last couple of days of 2010 we'll actually rise above...well above average! A pretty big pattern change in the jetstream is about to take place and replace the trough we've had in place with a ridge of high pressure starting Wednesday night. As this change takes place an area of low pressure will begin to develop along the Rockies and move eastward into the Plains by Wednesday night. Gusty southerly winds ahead of this system will help transport warm, moist air from the Gulf in the Great Lakes. With temperatures expected to remain just below freezing Wednesday night areas of freezing drizzle/rain could be possible before temperatures rise above freezing Thursday afternoon. This will change any frozen precipitation over to light rain showers. Along with the rain will come the potential for locally dense fog to persist through the end of the week. As the low moves closer Friday afternoon, heavy rain and maybe even a few thunderstorms could be possible during the afternoon and evening hours. Temperatures will likely rise into the middle and maybe upper 40s. I'm a little hesitant on going any warmer just because if we stay foggy through much of Friday we'll have a hard time reaching the 50s. With the transport of moisture from the Gulf heavy rainfall could be possible Friday which would likely lead to some flooding concerns as the ground is frozen and the current snow cover is over a foot deep in some spots. Latest trends of the weather models has been to back off on total rainfall amounts. If this trend does continue then the current snow might be able to absorb some of the rainfall. A very impressive low pressure system continues to intensify near Massachusetts this morning with blizzard conditions affecting southern New England and the New York City area. Blizzard warnings remain in effect for the coastal sections of the northern Mid-Atlantic states....much of coastal New England and northward through Maine. What a nightmare it has been for folks out east this holiday weekend. Heavy snowfall blanketed much of the east coast and now as this system is beginning to depart the northeast wind gusts nearing 60 mph or higher can be expected. Not only did this system bring heavy snow along the east coast, but also snow to places in the south and Mid-Atlantic that haven't seen snow on Christmas for several years! Atlantic City, NJ - 15.7"
Central Park, NY - 13.0"
A Big Warm Up By Friday! Stubborn clouds are holding temperatures fairly steady for a while this evening, but they are expected to thin out by later tonight, and when they do the temperatures will drop off fairly quickly. The overnight low is expected to be around 10 above, but parts of the area will be close to zero. It will be mostly sunny and cold on Monday as the Canadian high pressure slides across the area. By Monday night when the high is east of the area winds will start to pick oup from the south, and persist though Friday. A warm up will commence on Tuesday, and continue through the rest of the work week. The persistent southerly winds later this week will bring lots of Gulf moisture into the midwest. The warmer moist air riding over our snow cover will bring lots of fog to the area starting on Wednesday night and lasting through Friday. There could be some light freezing rain or drizzle on Wednesday night. On Thursday it will be warm enough for any precipitation that falls to be light rain. On Friday and Friday night there is a potential for heavier rains. With temperatures expected to reach the middle 40s on Friday, and up to an inch of rain, there will be lots snow melt and run off that could cause significant rises on area rivers. A northeast wind off of Lake Michigan has spread some flurries as far west as nothwestern and north central Illinois. There will be a few flurries overnight that may linger into Sunday morning. Clouds will gradually break up on Sunday as a ridge of Canadian high pressure shifts eastward from the plains. It will be cold on Sunday night as the ridge edges into the area with lows near 6 above. It will be sunny and cold on Monday with a high in the low 20's. A very significant warming trend will begin midweek as a big pattern change takes place. Temperatures will be back up to 30 degrees by Wednesday. As a strong air flow develops out of the south, the warmer air riding over the snow will create a lot of fog beginning on Wedesday night and lasting through Friday night. There may be some freezing rain mixed with snow with the first preciptiation on Wednesday night. It will be warm enough for light rain on Thursday and Friday. There might even be some thunderstorms late in the week as a strong system moves into the area. Temperatures on Friday and Saturday may top out in the middle 40's. 2010 to go out with a bang? While it's still a week away and the forecast will likely change, Mother Nature may have one more trick up here sleeve before we ring in the new year. This image is the GFS forecast for the end of the week and it has a strong storm system developing midweek out west and moving somewhere through the Great Lakes by next weekend. Very warm air will likely surge northward ahead of this developing storm possibly allowing temperatures to warm into the 40s and maybe a few 50s. With the warm air overrunning the current snow, widespread fog will be likely beginning Wednesday with a mix of precipitation possible Wednesday night. Anything from rain to possibly strong thunderstorms could greet us by Friday night. While it's too early to determine what will exactly happen and how the current snow cover will play an impact on just where the boundaries set up, 2010 could very well end with a bang. Santa and his reindeer will have a fresh blanket of snow on the roof tops of the Stateline when he arrives tonight loaded with gifts for all of those good little boys and girls. A WINTER WEATHER ADVISORY has been issued for all of northwest and north central Illinois until midnight tonight. Snow will make for slippery traveling conditions as last minute shopper scurry about in search of those perfect gifts for their loved ones. Up to 3" of snow may fall by sunset, and possibly another inch or two after dark before tapering down to snow showers after midnight. The total snowfall should be mostly in the 3" to 5" range with possibly up to 6" in some spots near the Mississippi River. Very little wind is expected with this system so, drifting snow will not be a problem. It will be breezy and cold on Christmas with flurries falling from cloudy skies. High pressure from Canada will settle into the area early next week knocking temperatures back into the cold zone, but not below zero. High temperatures on Monday will have a hard time getting out of the teens. The cold snap appears to be a short one with temperatures starting to moderate as soon as Tuesday. A pattern change will take place allowing above freezing temperatures by Thursday as the air flow becomes zonal, or more westerly in nature, it will cut off the cold air from coming out of Canada for a few days. 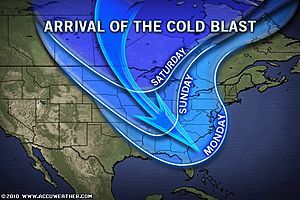 So, things will finally get a chance to thaw out around here as we close out of 2010 and start 2011. If your holiday plans do take you on the road today, be sure to check out the current roads conditions from across the region. 0340 PM     SNOW  GALENA, JO DAVIESS CO.
12/24/2010  M4.5 INCH - TOTAL SO FAR. 2.5 INCHES SINCE 7 AM REPORT. 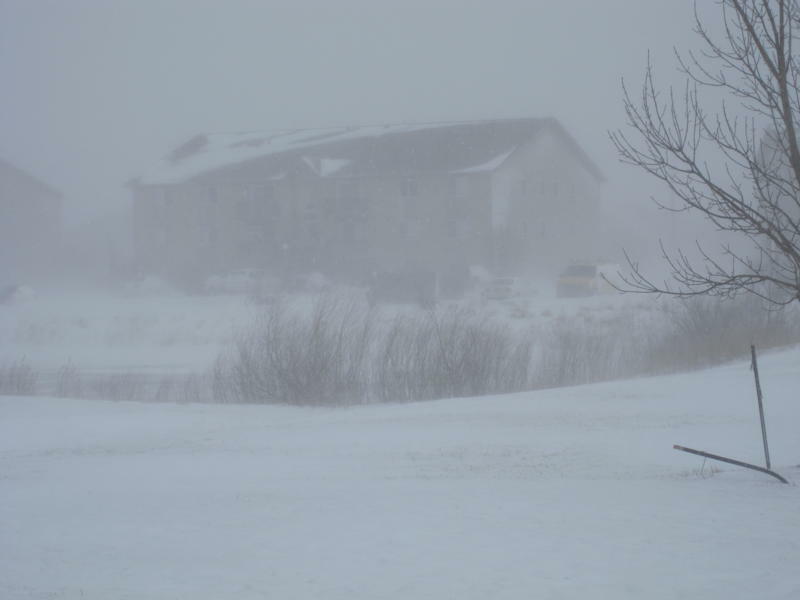 0225 PM     SNOW  1 WNW MORRISON, WHITESIDE CO.
1250 PM     SNOW  4 NW ROCKFORD, WINNEBAGO CO.
12/24/2010  M1.5 INCH - STORM TOTAL SO FAR. MODERATE SNOW AT TIME OF REPORT. 12/24/2010  M2.1 INCH - SNOW DEPTH 9 INCHES. 1158 AM     SNOW  ROCKFORD AIRPORT, WINNEBAGO CO.
12/24/2010  M1.9 INCH - SIX HOUR NEW SNOW AMOUNT. STILL SNOWING. 1140 AM     SNOW  2 NW PAW PAW, LEE CO.
12/24/2010  E1.5 INCH - NEW SNOW THIS MORNING. STILL SNOWING. 1100 AM     SNOW  DE KALB, DEKALB CO.
12/24/2010  M2.4 INCH - STORM TOTAL SO FAR. 1025 AM     SNOW  LENA, STEPHENSON CO. STILL SNOWING. .19 WATER EQUIVALENT. 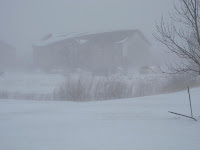 9:45AM: 1 WNW MORRISON, WHITESIDE CO.
0940 AM SNOW DE KALB, DEKALB CO.
12/24/2010 M1.5 INCH - STORM TOTAL SO FAR. 0748 AM     SNOW  3 NNW THOMSON, CARROLL CO.
0701 AM     SNOW  GALENA, JO DAVIESS CO.
0700 AM     SNOW  4 NNW ROCKFORD, WINNEBAGO CO.
12/24/2010  M0.5 INCH - SNOW CONTINUING TO FALL. DEPTH 6 INCHES. A Winter Weather Advisory continues for Green, Winnebago, DeKalb, Ogle, Lee, Stephenson, Jo Daviess, Carroll and Whiteside counties until tonight. Light snow continues to fall across the Stateline with some heavier bands of snow now falling out in eastern Iowa. Winter Weather Warnings have been issued out there. We're still looking at roughly right around 3"- 4" across the Rockford Metro area with higher amounts west and southwest and lighter amounts east. Please use caution if traveling this morning. Especially west out towards Iowa. The Winter Weather Advisory for Stephenson, Jo Daviess, Carroll, and Whiteside counties has been extended eastward to include most of the viewing area, minus Boone and McHenry counties (although some light snow is even expected there). Here's the latest from the NWS. TONIGHT TO MIDNIGHT CST FRIDAY NIGHT. CONTINUING THROUGH THE AFTERNOON AND EVENING. LESS THAN A HALF MILE AND CREATING SLICK ROAD CONDITIONS. While we might not see any snow on Christmas day itself, the snow expected Friday will leave a nice fresh coat for many to enjoy this holiday season. Even if we weren't expecting any snow Friday there is still enough on the ground for it to be considered a "White Christmas". Yikes! This is the preliminary local storm report from the San Joaquin Valley, CA National Weather Service from the storms that battered the west coast. I don't think I'll be complaining the next time it snows here! A Winter Weather Advisory will go into effect for Stephenson, Jo Daviess, Carroll and Whiteside Counties beginning midnight tonight and lasting through Friday evening. Locally dense fog will continue through the morning and leave us with clouds later this afternoon. A storm system currently in the west will continue to gain strength as it moves through the Plains later today. While the main surface low will sit well south of the Stateline an upper level disturbance combined with warm air will lead to our snowfall beginning later tonight and lasting through Friday afternoon. As it has been the past couple of snow storms, it looks like the heaviest band will set up from southern Minnesota, Iowa and through northwest Illinois. Some locations there could end up closer to 6". We could end up with 3"- 6" of snowfall with locally higher amounts to the west and lighter amounts to the east by Friday evening. Dense Fog Advisory for all of Northern Illinois lasting through this morning. Areas of patchy dense fog have developed across parts of this Stateline this morning. Watch for changing visibility during your morning commute. Also, with temperatures sitting below freezing there may be some areas of freezing fog - so watch for any slick spots especially on bridges and overpasses. Although the forecast models still aren't in the best agreement as to what's going to happen with our Christmas Eve snow, here's a brief overview of what looks to be headed our way. The main area of low pressure associated with this Midwest snowfall will probably track along the Missouri/Arkansas border, which is too far to the south to give us a major snowfall. 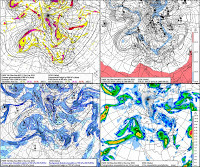 However, an upper-level disturbance (in this case, what meteorologists call a vorticity maximum or vort-max) will dive southward through the upper-Mississippi valley as this low is moving through and extend the northward boundary of this snowfall into our region. The timing looks a bit later than I was thinking yesterday (the onset of the snow will probably be delayed until late Friday morning), and amounts will probably total 1-3". ...DENSE FOG ADVISORY FOR NORTH CENTRAL...NORTHEAST ILLINOIS AND PORTIONS OF NORTHWEST INDIANA THIS EVENING....LIGHT WIND FLOW...AND RELATIVELY MOIST AIR LYING OVER FRESH SNOW COVER WILL PRODUCE AREAS OF DENSE FOG THIS EVENING OVER MOST OF NORTH CENTRAL AND NORTHEAST ILLINOIS AND NORTHWEST INDIANA. VISIBILITIES ARE EXPECTED TO IMPROVE QUICKLY LATER TONIGHT AS A COLD FRONT MOVES THROUGH BRINGING COLDER AND DRIER AIR. THE DENSE FOG ADVISORY IS NOW IN EFFECT UNTIL MIDNIGHT CST TONIGHT. * VISIBILITY...FREQUENTLY LOWERING TO LESS THAN A QUARTER MILE. * IMPACTS...REDUCED VISIBILITY WILL REQUIRE ADDED CAUTION WHILE TRAVELING ACROSS THE ADVISORY AREA THIS EVENING. While we've got one system out of the way our attention will then turn to another that could have the potential to bring some travel headaches just in time for Christmas. Similiar to the one a couple weekends ago, the track of this next one has been very unstable. The last couple of runs has actually taken the low well south through the gulf states keeping the heavy snow south of the Stateline. In fact, one of our computer models doesn't even develop the low anymore and leaves us with just some flurries - if that - through Friday. While I'm not ready just yet to hang up the towel on this one if the next couple of model runs keep it further to the south our snow chances towards the end of the week will be reduced. Either way we will see a white Christmas it's just a matter of will that white stuff create problems for travel. Hard to believe that today marks the first day of winter when it has already felt like it for the past 3 weeks. For the first time in nine months the monthly average temperature has actually fallen below average! As I'm sure many of you may remember the spring, summer and even fall months highlighted above average temperatures. From the beginning of December until the 21st (Monday), we actually sit -8.8° below our monthly average. Looking ahead and it looks like we'll continue with the at or slightly below average temps to round out the month of December. Watch for freezing fog this morning across parts of southern Wisconsin. 10:15am Update: Winter Weather Advisory has now been cancelled for all of the WTVO forecast area. A Dense Fog Advisory remains in effect until 8pm for Rock and Green Counties in southern Illinois. 9:00am Update: Winter Weather Advisory for southern Wisconsin has been allowed to expire. Only patchy freezing drizzle can be expected across parts of south-central Wisconsin. Temperatures are also beginning to now rise above the freezing mark. 5:00am Update: A Winter Weather Advisory continues for southern Wisconsin and Northern Illinois through the morning. While the snow has moved out areas of fog and freezing drizzle are now being reported which could cause some slick spots on roads, especially bridges and overpasses. The fog has reduced visibility in some locations to less than two miles. Just make sure you use caution when headed out this morning. Temperatures are expected to rise above freezing this afternoon which should keep just drizzle (if any) going through the afternoon. Stephenson, Jo Daviess, Carroll, and Whiteside counties have seen their Winter Weather Advisory extended by the NWS out of the Quad Cities until noon tomorrow. In the meantime, the eastern counties (in Chicago NWS's area of responsibility) remain under the same advisory until 10am. As of this writing, snow is beginning to change over to graupel and even freezing drizzle in many areas, which will cause slick spots on secondary roads, bridges, and overpasses by tomorrow morning. Ice may also accumulate on untreated sidewalks and driveways, especially to the south of Rockford where the change-over to freezing drizzle is already occuring. The Winter Weather Advisory remains in-effect for most of the Stateline viewing area until 10am tomorrow, and until 6am for Stephenson, Jo Daviess, Carroll, and Whiteside counties. The official NWS forecast is calling for 2-4" of snow in most of the advisory area, but I wouldn't be surprised to see some higher totals. I saw a report of 7" of new snow in Buchanan county, Iowa (which is about 40 miles due west of Dubuque). Even though I don't think we'll see totals quite that high this far east, I take this as evidence that some of us could see 5" totals here. The radar is showing a band of heavier snow that will move through the greater Rockford area around 5pm, so use extra caution and allow extra time during your afternoon/evening commute! Some light freezing drizzle and fog are expected after 2am as moisture and temperatures increase. This could pose an icy problem for bridges, overpasses, and secondary roads during your morning commute. A warm front lies from west central Illinois across Iowa through Sioux City to low pressure over northeastern Wyoming. The warm front will become stationary and remain to our southwest today and tonight. Meanwhile moisture will be lifted up and over the front into the retreating cold air mass over the upper midwest, and snow will spread into western parts of the Stateline this morning, and into the Rockford area by early afternoon. Therefore a WINTER WEATHER ADVISORY has been issued beginning at noon in the Freeport area, and a 2 pm in the Greater Rockford Area. Snow is not expected to be heavy, but and inch or so may accumulate by evening, and an additional 1" to 3" may add up overnight with the heaviest amounts over Jo Daviess, Stephenson, and Carroll Counties. After midnight the snow may mix with some freezing drizzle. On Tuesday there may be some freezing fog in the morning, and some additional freezing drizzle. As temperatures rise to just above freezing the freezing drizzle will change to drizzle. The low pressure will pass to our north on Wednesday night, and drag a front across the Stateline bringing an end to the precipitation. It now appears as if the next system will pass well south of Illinois Friday and Christmas Day. Our region will probably get some snow associated with an inverted trof. of low pressure stretching northward from the main storm center far to the south, but it looks like the Stateline will not get much out of that system. Canadian high pressure will feed colder air into northern Illinois on Christmas, and the rest of the Holiday Weekend. THE NATIONAL WEATHER SERVICE IN CHICAGO HAS ISSUED A WINTER WEATHER ADVISORY FOR FREEZING DRIZZLE AND SNOW...WHICH IS IN EFFECT FROM MIDNIGHT CST /1 AM EST/ MONDAY NIGHT TO 9 AM CST /10 AM EST/ TUESDAY. * TIMING...THE SNOW WILL BEGIN MONDAY EVENING. BY MIDNIGHT TUESDAY MORNING...THERE WILL BE AREAS OF FREEZING DRIZZLE. * ACCUMULATIONS...SNOW ACCUMULATION WILL RANGE FROM SIX TENTHS AROUND GIBSON CITY ILLINOIS AND FOWLER INDIANA TO ONE AND HALF INCHES NEAR THE WISCONSIN BORDER. 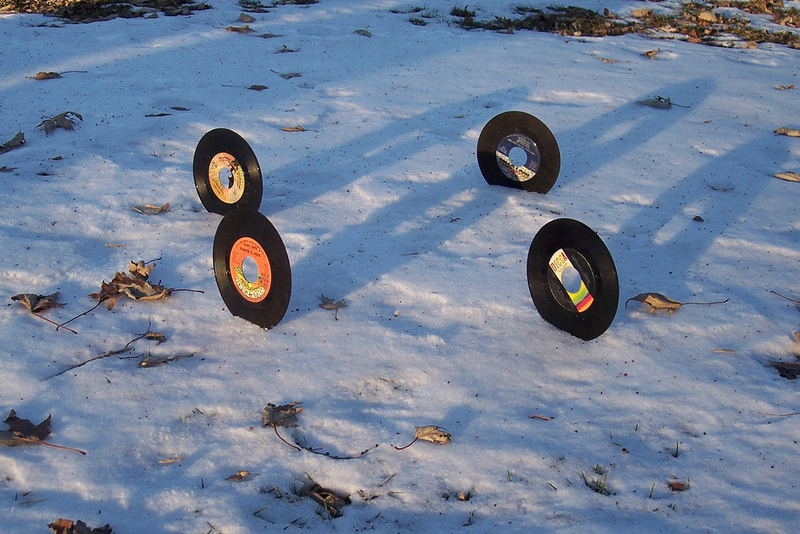 THERE MAY BE UP TO A TENTH OF AN INCH OF ICE ACCUMULATION. * HAZARDS...SOME ICE ACCUMULATIONS AND SNOW MONDAY NIGHT. * IMPACTS...IMPACTS TO TRAVEL MONDAY NIGHT AND TUESDAY MORNING. A weak disturbance has increased clouds this evening. It will be mostly cloudy overnight along with a chance of flurries. It will be partly sunny on Sunday with increasing clouds in the afternoon. and continued cold with a high around 20. A stronger disturbance will affect the area early in the week with a chance of accumulating snow by Monday night. Snow will linger into Tuesday before the system moves off to the east. On Wednesday high pressure will take control, but skies will be slow to clear out. On Thursday the high pressure ridge will move off to the east allowing the next system from the west to approach the midwest. With a zonal flow in place for most of the week, temperatures will top out close to average. There will be a chance of snow by late Thursday continuing though Friday afternoon assuring the Stateline of a white Christmas. Canadian high pressure will take over again on Christmas making for a cold holiday with some sunshine. As we head into the week of Christmas there are a couple storms that will be watched fairly closely over this weekend. The first will come through Monday into Tuesday and the next will likely come Thursday night into Friday. The first system will begin to move across the Plains Sunday afternoon and likely bring some light snow out to the west in Iowa as warm air begins to advect northward. We might even see a little light snow begin late Sunday evening/overnight into Monday. Even three days out there is still a difference in the track of this system, but as it appears now the atmosphere should remain cold enough to support snow Monday afternoon into Monday night but if temps warm by Tuesday we might see a little bit of a mix into Tuesday morning. The next storm of concern would come in late on Thursday and into Christmas Eve Day. This one may pose more of a threat of accumulating snow as the current track of this storm is more south, causing several inches to fall. We are still a week away from this one but wanted to put out some caution that anyone with travel plans for the holidays should monitor the weather as we go into this upcoming week. The average temperature through the first 16 days of the month at the Rockford airport sits at 8.2 degrees BELOW average! The Stateline, along with most of the central and eastern US (as shown on the graphic at left), have been well below average temperature-wise for the first half of the month. A big reason for this is a blocking high over Greenland. This high doesn't let the storm track through the North Atlantic Ocean, which forces cold air southward across the eastern United States. In addition, our snowfall has been exceeding average as well. Our total to-date is 10.0", which is 5.2" above average. Radar returns look a lot more impressive than what is actually occurring at the surface. We did have some light snow across parts of the region earlier this morning with higher totals reported in our far west/southwest counties. Dry air stuck around a little longer than expected which caused a lot of the snow to evaporate before reaching the ground. The trough of low pressure that extends northwest from the low that is moving into the Mid-Atlantic will continue to move east through this afternoon. An upper level disturbance currently moving through Iowa will continue to push dry air into the mid-levels of the atmosphere. Any snowfall that is left over as this low moves through may see a brief period of light freezing drizzle mixed in. This will more than likely occur across the far western part of the WTVO forecast area. Otherwise look for minor accumulations through the remainder of the afternoon. The Winter Weather Advisory has been cancelled for all Northern Illinois counties except Jo Daviess, Carroll, Whiteside and Lee. We're also trimming back on snowfall totals this morning with only about an inch or so expected across North-Central Illinois. A little more accumulation can be expected where the advisory remains. 11:45pm Update: Things aren't always as they seem! Although the current radar image suggests that the leading edge of the snow is now into the Rockford area, snow has yet to be reported on the ground. Even a bit further west in Freeport, only cloudy skies were reported at the last observation. Both Savannah and Moline, however, are reporting light snow. The snow has been struggling to move into the area with the cold, dry air that we have in place. It's also moving further away from the area of low pressure in the southern plains that's creating the instability for this shield of precipitation over the Midwest. Although we're still under a winter weather advisory until noon tomorrow, we'll probably be on the lower end of the 2-4" of precipitation that we've been predicting. 1:00pm Update: The snow that has been falling in Iowa has been slow to make it's way east so far this morning. Because of this, I am going to push back the starting time of the snow. Looks like it will now begin more towards late evening and overspread the Stateline overnight. Still going to go with roughly around 3" to 4" across Northern Illinois with less amounts east and higher amounts to the west. We'll continue to monitor the weather this afternoon and let you know if we see any changes. 9:00am Update: Light snow is now beginning to fall across parts of northern Iowa this morning. Dew points are still fairly dry across much of the Stateline and even into eastern Iowa. Area of low pressure is now beginning to move into western Oklahoma and will continue to move east across Missouri and southern Illinois by this evening. As it does warmer air along with a little more moisture will begin to move northward along a trough that will extend from the low into the northern Great Lakes. Look for light snow to begin later this afternoon west of Rockford and then spread eastward through the evening, possibly impacting the evening commute. Snow will continue through the overnight and could be moderate at times. As of right now we're looking at anywhere between 3"- 6" of accumulation by Thursday afternoon. Snow to water ratios will be high enough to allow some of the snow to fluff up closer to the 6" mark, especially across parts of western and northwest Illinois. Accumulations are expected to be less across southern/southeastern Wisconsin - ranging anywhere between 1"- 3". A Winter Weather Advisory is in effect for Jo Daviess, Stephenson, Carroll, Whiteside, Winnebago, Boone, Ogle, Lee and DeKalb Counties beginning this afternoon and lasting through Thursday morning. The 9pm central time observations tonight (12/14/10) show 3 degrees with partly cloudy skies in Rockford, IL. In the mean-time, it's 24 degrees in Munising, MI... Some 300 miles to our north. The main reason it's warmer up there? It's snowing! Yes, in situations where an arctic airmass is sitting over the Midwest, clouds and snow can save your temperature from "falling through the floor!" 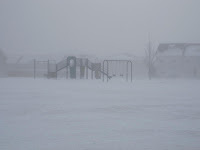 Snow forms when droplets of water vapor (in gaseous form, of course) condense onto a dust particle or some other microscopic material in the air. The water quickly goes from liquid to solid phase in temperatures below freezing. This phase change from liquid to solid actually releases a small amount of heat into the atmosphere. Light snow is forecast to move into the Stateline Wednesday night and Thursday morning. Along with the snow, our high temperatures will warm into the low to mid-20s, and our lows will moderate into the teens on Wednesday night. This is still below average, but better than the teens for highs and sub-zero lows we've seen over the last 36 hours! Looks like the active, chilly weather pattern will continue at least for the next week or so. An area of low pressure will move south of the Stateline Wednesday night with accumulating snow likely by Thursday afternoon. Because there is a chance for an extended period of light snow, accumulations in some spots could fluff up to 3" or more. While the Wind Chill Advisory for the Stateline has been allowed to expire, the cold will continue through the afternoon. Wind chills will remain below zero for the better part of the afternoon. 10:00am Update: Wind Chill Advisory has been allowed to expire for Stephenson, Jo Daviess, Carroll and Whiteside Counties. Although it will remain very cold today, increasing temperatures and diminshing winds will allow for wind chills to slightly improve. Please continue to take the necessary precautions to keep yourself warm today if headed outdoors. A Wind Chill Advisory is in effect for southern Wisconsin and northern Illinois through Monday morning. Temperatures this morning have fallen into the single digits but wind chill values have fallen to as cold as -25° in some locations. A gusty northwest wind will remain with us through the better part of the day keeping wind chill readings below zero. Actual highs will have a hard time making it into the lower teens despite the sunshine expected this afternoon. The Coldest so far this Season! A Winter Weather Advisory is in effect until midnight for north central Illinois, and a Wind Chill Advisory is in effect from midnight until noon on Monday. Blowing snow will continuie to be a problem overnight and early Monday on east-west rural roads across northern Illinois. A strong pressure gradient continues to persist across the area causing very windy conditions with winds 20 to 30 mph from the northwest with gusts to 35 mph, and with temperatures expected to fall below zero tonight, wind chills may be as low as -15 to -25 late tonight and Monday morning. There will also continue to be blowing snow mainly across east/west rural highways through the ovenight hours. It will be sunny on Monday, but don't let that fool you. The afternoon high temperature will only be around 8 degrees. The tight gradient will loosen it's grip on the Stateline on Monday night, and with the ridge of arctic high pressure nudging it's way into the area, there will be excellent radiational cooling under mostly clear skies and lighter winds yielding the coldest temperatures of this winter so far. The low on Monday night is expected to be around -7. Don't be surprised to see some of the cities go lower than that. It will be sunny and very cold on Tuesday with the arctic ridge sitting right on top of our region, and the high will reach to around 12 degrees. On Wednesday the next system will approach as the arctic ridge moves to the east. Clouds will increase, along with a chance of light snow, and temperatures will moderate into the low 20's. 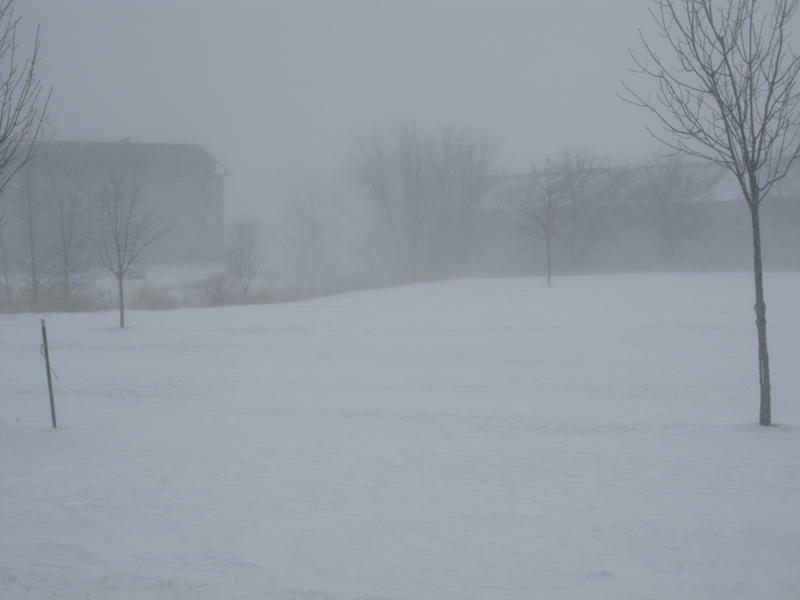 Thanks to Chris Gilson who took these pictures of the blowing snow in DeKalb at 10:30 am. He said winds were gusting to 44 mph when these pictures were taken. Blizzard Warnings and Winter Storm Warnings cancelled for counties in Northern Illinois. Blizzard Warning still continues for southern Wisconsin. Blowing and drifting snow will continue through tonight with dangerously cold wind chills overnight into Monday. This map is from the Iowa DOT....the roads that are highlighted in red is where travel is not advised. Pink - roads completely covered, Orange - mostly covered and Yellow - partially covered. Low pressure now centered over northern Ohio and will continue to move across the eastern Great Lakes by this afternoon. We're still looking at periods of snow throughout the morning and into the afternoon as wrap-around snow showers continue. While snowfall totals are not expected to be all that great, winds behind this system have been gusting to over 50 mph at times...especially overnight through parts of Wisconsin and eastern Iowa. Sustained winds of 25-35 mph can be expected with gusts to 50 mph will continue through late morning and into the afternoon. Wind chills have already fallen into the low single digits and will likely range somewhere in the -20° to -10° by Monday morning. Blowing and drifting snow along with the bitterly cold temperatures will be the main concerns for today. 1:36am Janesville, Rock Co. - 3.2" Snow Storm total snowfall of 3.2"
Low pressure continues to move east. As it does things should quiet down for a little while before the wrap-around snow begins to move in later tonight/overnight. The heavy snow that has been falling to the north will gradually shift east/southeast as the low pulls off to the east and move across southern Wisconsin. Along the western side of the low blizzard conditions will continue for parts of Iowa, southern Wisconsin and northern Illinois. Brief periods of snowfall rates of one inch per hour could be possible. Snow continues to shift eastward as cold air begins to move in across northern Illinois. As temperatures remain right around the freezing mark the snow may start off as a heavy, wet snow but is expected to turn to a lighter snow later tonight as temperatures fall. 3:15pm Update: Area of low pressure now beginning to move into northwest Illinois with mostly rain falling east of I-39 and a wet snow falling to the west. A Blizzard Warning is now in effect for Rock, Green and Walworth counties in southern Wisconsin. The low will continue to move east pretty much right across northern Illinois and as it does we should start to see any rain that is falling change over to snow from west to east. We may have a dry period later tonight as a dry slot moves in on the backside of this system. Light to moderate snow will likely begin during the overnight as temperatures fall and winds pick up and continue into Sunday morning. NOW (7am): Look for patchy light freezing rain/drizzle to continue across portions of northern Illinois early this mroning...especially along and west of I-39 with a little ice accumulation possible. Temperatures will slowly begin to rise throughout the morning changing any frozen precipitation into rain. Roads, sidewalks, driveways may remain slippery so please use caution if going out this morning. As this low passes later this afternoon rain will begin to change to snow from west to east as cold air rapidly moves in behind. Winds will begin to gust from the northwest creating bitterly cold wind chills by Sunday evening. Blowing and drifting snow will also be a concern, no matter what the snowfall totals are. - A bit of freezing drizzle and fog overnight into early Saturday morning. - Freezing drizzle changing to light rain Saturday morning and early afternoon. Highs: mid-30s. - Sleet by mid-afternoon Saturday. - Sleet changing to snow by late afternoon. Up to 1” of snow accumulation. - Snow early Saturday evening (another 1-2”), then a short break in the action. - More snow Sunday morning. Another 1-2” expected. By now, however, the winds will be absolutely FIERCE! 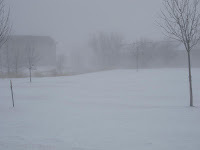 So blowing snow will create near-blizzard conditions. Travel is not advised on Sunday. Also, highs on Sunday will only be around 15, but wind chills will be -20F or colder at times! - Snow should end by early Sunday afternoon, but blowing snow will continue to be a problem until Monday morning when the winds subside somewhat. QUARTER MILE OR LESS AT TIMES. SUCH AS BRIDGES AND OVERPASSES. A Blizzard Watch has been issued for Stephenson, Jo Daviess, Carroll and Whiteside Counties effective Saturday evening lasting through Sunday afternoon. A Winter Storm Watch has been issued for Rock, Green, Walworth, Winnebago, Boone, McHenry, Ogle, Lee and DeKalb counties effective Saturday evening lasting through Sunday. A strong low pressure system will begin to develop across the Plains tonight and move into the Sateline by Saturday evening. A mix of rain/sleet/snow/freezing rain will be possible late tonight and early Saturday. The storm will then begin to strengthen as it moves across the Stateline pulling in much colder air behind it bringing snowfall back to the region. Northerly winds will likely gust in excess of 45 mph. While snowfall amounts might not exceed 6", the very strong winds will cause blowing and drifting. In addition, temperatures will fall quickly Sunday creating dangerous wind chills of -25° to -10°. Chief Meteorologist Ty Shesky will have more for you tonight on the WTVO Channel 17 News at 5pm. The weather across north central Illinois today will be relatively quiet. The has been some fog across the area early this morning, but it will burn off by 10 am leaving skies mostly sunny. A few clouds are expected to develop during the afternoon, but temperatures will warm to near freezing or sligthly above melting some of the snow on area roadways.The wind will be 5 to 10 mph from the west becoming southwest this afternoon. The weak ridge of high pressure will shift off to the east tonight as a major winter storm begins to develop over the plains. Warm air riding up over the retreating cold air could cause some light snow to develop tonight. Amounts are not expected to be significant before the precipitation changes over to freezing rain and rain as the low pushes east across Iowa and then across northern Illinois. This track is not favorable for producing heavy snow over northern Illinois. The heaviest snow will fall to the north of the track across Wisconsin, and then northen Michigan. There may be some drizzle of freezing drizzle in the afternoon before the precipitation changes back over to snow on Saturday night. Some accumulaitons in the 2" to 3" range are possible Saturday night into early Sunday. The big news is that there will be a very intense outbreak of arctic cold air on Sunday as the departing storm system wraps up. Very strong winds of 20 to 30 mph or more are anticipated from the northwest, bringing the coldest weather of the season to the Stateline Sunday night. Actual temperatures will drop to -5 to -10 by early Monday morning, and afternoon tempertures will remain in the single digits. Slow moderation in temps will take place by Wednesday and Thursday. The snow is beginning to wind down as it continues to move to the east. Please continue to use caution this evening as roads may remain slick. Morning and afternoon runs continued to show a more northerly track with our weekend low passing through northern Illinois Saturday afternoon and into Michigan by Saturday night. If this trend continues, the chances of a significant snow across the Stateline would likely be reduced as warm air would keep a mix going early Saturday before changing to snow by Saturday evening. The top image on the left shows the probability for at least four inches of snow while the bottom is for eight. With this more northerly track, if this were to actually pan out, the heavy snow would be shifted through Wisconsin. A slight deviation further to the south, however, would bring that heavy snow band down. Winter Storm Watches have basically been issued for the entire state of Wisconsin, northern Iowa and southern Minnesota in anticipation for this more northerly track. If the next couple model runs continue to come in with this northerly track, we'll trend down our snowfall totals and increase the chance of rain at the onset Saturday afternoon. Wow! What a difference a day makes! Yesterday nearly all of our weather forecast models had jumped on the southern track bandwagon with our weekend system and now this morning they have trended further north, way north. 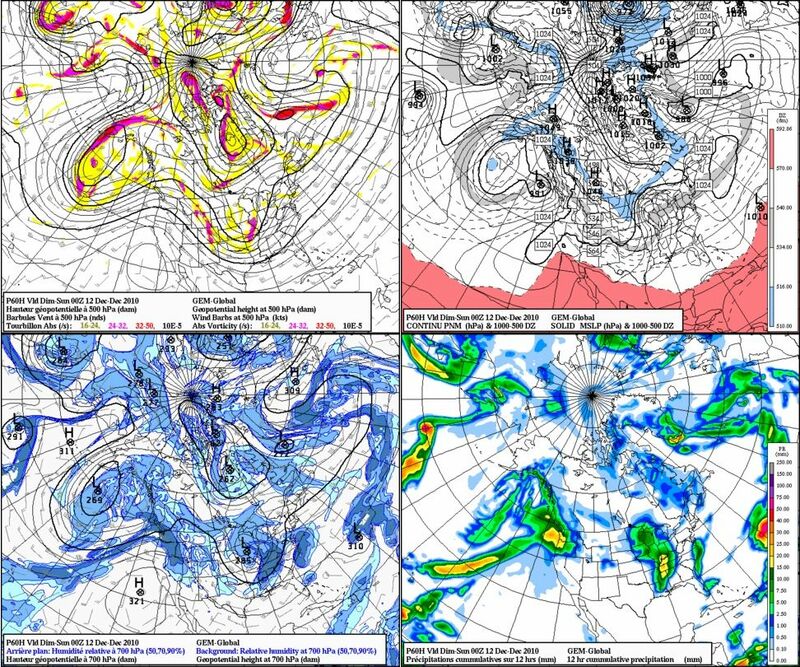 The top image was Wednesday morning's GFS run and had the low moving through the lower Mississippi River Valley Saturday afternoon. The early morning runs have now trended the low right through Northern Illinois/Southern Wisconsin. The reason for such an inconsistency - this storm isn't even onshore yet! A more southerly track would have likely yielded a heavier snow accumulation across parts of the area. With this more northerly track, there is a greater potential for warm air to initially get wrapped into it which would likely keep a mix going at the onset before changing over to snow Saturday night. If we were to see a mix, snowfall amounts would be reduced and the heaviest of snowfall would likely occur to the north and northwest of the WTVO forecast area. One thing that has been very consistent through this whole week is the polar arctic air expected to surge in quickly by Saturday night. Winds are expected to increase through the night into Sunday with temperatures falling into the middle single digits by Sunday evening. Winds will be gusty dropping wind chills by Monday morning well below zero!! Be sure to stay with us throughout the afternoon and into tomorrow morning as we continue to get new data in. Anyone with travel interests should continue to monitor the forecast. A Winter Weather Advisory is in effect from 3pm to midnight tonight for Rock and Walworth Counties in southern Wisconsin. A clipper system will move along the U.S/Canadian border drawing in moisture throughout the Stateline. As it does a few flurries may be possible later this morning, but snow will likely move in during the afternoon and evening. Anywhere between 1"- 3" will be possible with locations further north of the Stateline closer to the 3" mark. Once this one passes another system will quickly move in this weekend and could give someone across the Great Lakes a significant amount of snowfall by Sunday morning. With each new day and model run we are starting to get a little better handle on what's going to happen this weekend. Are we certain...no! But things are starting to come together a little better than before. There were a couple things I wanted to talk about to kind of give you an idea of just what we are looking at. First, this storm is still off shore and isn't expected to come onshore until the next day or so. As it does begin to move into the Pacific Northwest we will be able to get a better data sample that will then feed into our weather models. This will help narrow down the potential track. Secondly - the one model (the ECMWF) which was taking a more northerly track with the low has now jumped on board with it's latest run and pushed the low south. This is more in line with our other models. The current track, as of this morning, took the low through southern Missouri and southern Illinois and then strengthened it by Saturday night into the Ohio River Valley. With this current track the possibility would be there for the heaviest of the snow to miss us to the south. We would still end up with some (it's still way too early to even talk about totals) but we just might not see a significant amount. Now I want to stress that any deviation from this track either north or south will play a role in what we get for this weekend. A clipper system is expected to move north of the Stateline Thursday afternoon into the evening. Now I'm fairly certain that the associated snow with this will likely not add too much to the current snow we have on the ground or even extend it further south. But what we will be looking at is just where the baroclinic zone sets up after this clipper system Thursday. With this weekend storm quickly coming in on the heals of the first one we might not have enough time to get the cold air to settle in. That could possibly trend a further northward track. However, the jetstream does dig out through the lower Mississippi and Ohio River Valleys and this would help drive the low. Looking at how quickly the low will strengthen, there is the chance that it might not really gain strength until it reaches the lower Ohio River Valley which would be a big snow for places like Ohio and Pennsylvania and not so much for us. Bottom line is this, I do expect some snow for us beginning Saturday afternoon and lasting into Sunday. The million dollar question, though, is just how much. As I mentioned before we should really start to get a better picture once we head into Thursday morning. The Cold Persits Through Wednesday NIght. It's Meteorological Winter... After All..